Be still our beating hearts – the original Queen B, Beyoncé Knowles has launched her own active wear range. 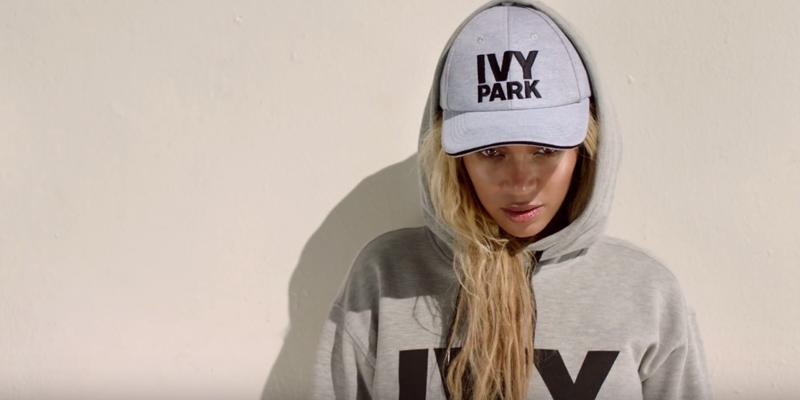 Beyoncé has named her range ‘Ivy Park’ and is in part obviously named after her daughter, Blue Ivy. As for the Park part – related to the park she used to run through every morning with her dad (as explained in the official promo advert for the brand). As always, Beyoncé does nothing in half measures and is serving real slayage with the actual clothing and of course all the ad material as you’ll see in all these publicity pictures. There have been whispers she has been working on a clothing line with TopShop, but now she has finally revealed the details of her plans. ‘Ivy Park’ will not be a collaboration but rather a standalone active wear brand created by Beyoncé and Sir Phillip Green, who owns TopShop. The collection will launch on April 14 at TopShop, Nordstrom, Net-a-Porter and Selfridges. Which is great news for overseas peeps, as for us South Africans, we’ll have to hold thumbs that TopShop South Africa brings us the collection too – however this is not confirmed as yet. My only concerns will be – will this be as hard to get a hold of as a pair of Yeezys? And of course – what will the quality be of this collection – will it actually be great apparel to get down and dirty in the gym or will it be all about just owning a piece of the singing diva? Let’s not even begin to think about the price tag attached to an item. Go to www.ivypark.com for more awesome visuals to get you even more excited!